Marriott expects to add more than 1,700 additional hotels by the end of 2021. Bethesda, Maryland-based Marriott International opened its first hotel 62 years ago. This month, it opened its 7,000th property. The St. Regis Hong Kong is a 27-story luxury hotel with multiple restaurants and butler service for guests. Marriott’s leap to 7,000 properties (under its 30 hotel brand names) received a boost from its 2016 acquisition of Starwood Hotels & Resorts, but its post-acquisition growth trajectory shows no signs of slowing. By its own estimates, Marriott expects to add more than 1,700 additional hotels by the end of 2021, including 320 hotels in the Asia Pacific region. It ended the final quarter of 2018 with 1.69 million hotel rooms either open or in the pipeline. 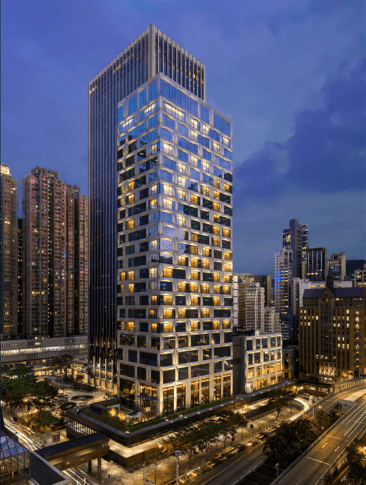 The St. Regis Hong Kong is one of more than two dozen hotels under various Marriott brands in Hong Kong. Marriott, which traces its roots to a nine-stool root beer stand that opened in 1927, opened its first hotel, the Twin Bridges Marriott, in Arlington in 1957.